Mom's Gone Bronson! 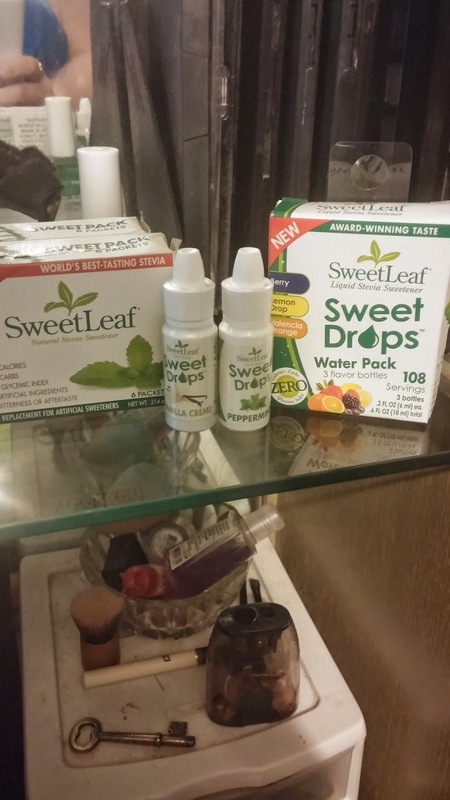 : Sweetleaf Review and Giveaway! Disclaimer: Original reviewer received these items in exchange for an honest review and was not required to post a positive review. These are honest opinions. Your experience may differ. My husband and I both enjoy using water enhancers. Especially in the summer time. They are also a lot less detrimental for you most of the time, compared to consuming soda. 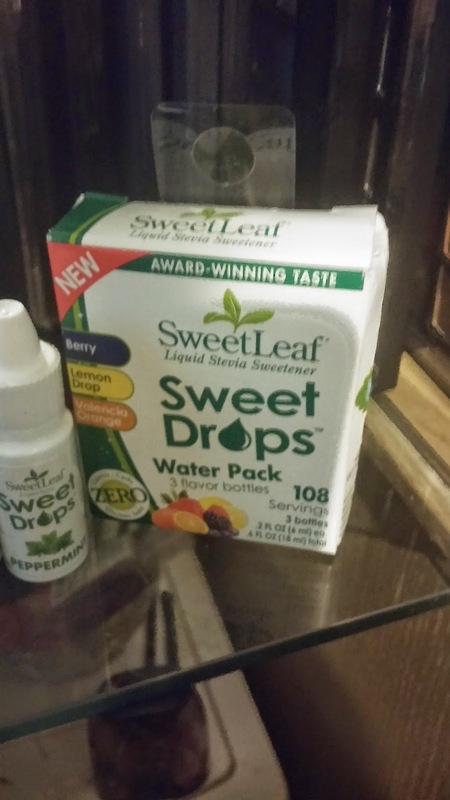 I was really excited to try out Sweetleaf products, because they are made with Stevia! 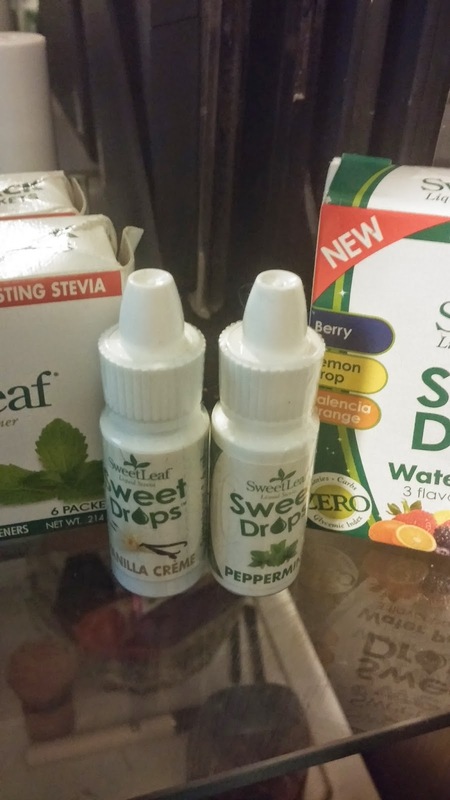 I was sent quite a few flavors to try, as well as two packs of Sweetleaf's stevia packets. I loved the packets of the sweetener. This was great in drinks! I also tried it on berries. These are REALLY sweet. one little packet is the equivalent of 2 teaspoons of sugar. They contain Zero- calories, carbs and glycemic index. Have no artificial ingredients, and no bitterness or aftertaste that you get with a lot of sweeteners. I would use these over regular sugar any day. The Sweetdrops I was sent, were awesome. I was sent 6 different flavors to try: Cola, Vanilla Creme, Peppermint, Berry, Lemon Drop and Valencia Orange. They come in more than 20 different flavors; something for everyone! My absolute favorite was the Peppermint! Or it was so good in Iced Tea! My husband however thought the Berry was the best. The Vanilla creme was probably a close second favorite of mine, I tried it in a coffee type drink. YUM! These again have Zero carbs, calories or glycemic index! I have tried a lot of water enhancers, and I really liked this one the most. a few drops and you have perfectly flavored water, or tea, or whatever you want. With the others, it seems like I have to add half of the bottle to make it taste good at all. The Sweetdrops Cola can be added to Sparkling water, to make a great tasting alternative to soda! Sweetleaf has offered my readers a Giveaway! Both of these products were winners in my book! Visit their website! Like Them on Facebook! Follow Them on Twitter! Follow Them on Pinterest! Follow Them on Instagram! Disclaimer: Mom's Gone Bronson is not responsible for this review or prize fulfillment, thank you!